NOTE: My comments below are to remind you of fair, equitable hiring and compensation practices, not to get political. I feel this discussion is important and hope it does not offend anyone. It is frustrating when government employees and politicians who get paid huge pensions and retirement benefits that are underfunded (debt), and operate under deficit spending, feel they know more than business people about how to run a business profitably. As leaders, we have to implement systems, define policies, and build a culture that is more than good intentions. We have to do things that are efficient, effective, and create opportunities for our company, employees, partners, and community to prosper. Good intentions are not enough. Here is an example of good intentions, but terrible implementation. Are there areas in your business where you are making a similar mistake based on good intentions? The State of Massachusetts' politicians and government bureaucrats want to remind you that they are smarter than business people. #1 - The law is impossible to enforce fairly. How are they going to track what is actually discussed in job interviews or between managers and employees? Reminder: The law gives workers the right to sue companies directly for violations. Again, I agree with the intent. Everyone deserves to be paid a fair wage/salary. I just hate laws that are unenforceable and throw fuel on the fire of antagonistic contingency law firms. There is nothing in this law that creates jobs. There's plenty in this law that may eliminate jobs or motivate businesses to move out of the state. #1 - Become informed. You can start by reading the text of the law and/or this NY Times article, which is biased in support of the law, and/or other information about the law. Discuss the impact of the law on your organization with your HR attorney. NOTE: The NY Times believes the law requires "...hiring managers to state a compensation figure upfront..." when interviewing. I do not see that in the law, but maybe I missed it. Bureaucratic legalese is not a language I speak fluently. As an alternative, you could just state the salary range and ask if that matches their objective. If you currently ask a job candidate specifically what they are being paid in their current job, then change your wording to my question or something legally appropriate. The reason you need to know what they want to earn is because you must protect your time during the interview process. 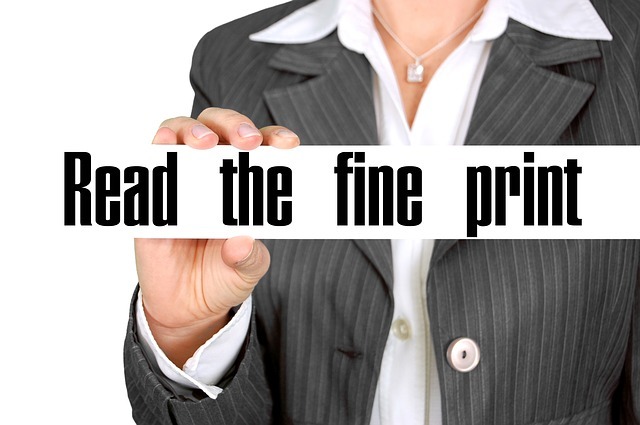 If their compensation requirements or desires are outside of the range you are planning to pay, then you need to not proceed with the interview. #3 - Confirm later. My understanding is this law allows an employer to request confirmation of the person's current and/or compensation after giving them a job offer. I suspect this means if they accept, then the candidate agrees to release the information or confirm it in some way. Maybe we need to help leaders become better leaders rather than be burdened by ineffective laws...? #4 - MOST IMPORTANT - Pay people fairly. Wherever your business is located, always pay people fairly and be ethical in your hiring practices. Please forgive me for discussing something that involves politics. I just have a short fuse with governmental micromanagement through unenforceable laws that are catalyst for unnecessary legal fees. These types of laws waste time, money, and distract us from generating new jobs and fulfilling careers for others in our communities. My primary concern is your approach to hiring and compensation consistently demonstrates integrity and is effective in growing your organization. I hope you're having a record setting 2016. Partnerships always have problems. Whether it's an argument over sales and marketing strategy, or a dispute about equity ownership, I have seen it all. That's why my work often involves helping partners work more effectively together to achieve their goals. Let me give you one key idea that can help you avoid headaches and lawsuits. Back in the 1980s, one early, pioneering computer distribution firm was Micro D. Their president was Rich Lionetti. Ingram bought the company and it became Ingram Micro D, and later Ingram Micro. I remember riding with Rich in his car shortly after the buyout. I asked if he was upset about not being included in the management team of the new organization. He laughed. He responded by saying he had learned years before the most important part of any agreement is how you get out of it, not how you get into it. He had structured his employment agreement with Micro D so he got a handsome payout when the buyout occurred and it did not negatively affect him. Too often I work with partners today who want to change or end their partnership, yet they idealistically set up their company with equal shares of equity and no easy exit clause. My grandfather, Chester MacPhee, learned about partnerships the hard way while working in real estate. He taught me decades ago how to structure a partnership and it is actually quite simple. The partnership agreement must include a clause that one partner can offer to buy out the other partner(s). The partner receiving the buyout offer can accept or buy the offering partner out under the same terms and conditions. This eliminates any debate about continuing the partnership or the value of equity. The reason this type of clause is a necessity, not an option, is because it removes subjectivity and emotion when it comes time to end the partnership. All partnerships end. If the partner(s) receiving the offer feels the amount undervalues the business, then they can take advantage of the situation and buy the company themselves. If the price is high or at least more than they are willing to pay, then the partner can accept the offer. Either way the transaction is fair, consistent with their original agreement, and allows all partners to move on in their careers. The only wild card in this type of agreement is if one partner has a unique skill set. For instance, if one partner owns all the customer relationships, or they have a unique set of technical skills. However, that is just something you have to be aware of when you get into the partnership in the first place. I recently learned that some people refer to this as a shotgun clause. You can search the web and find a lot more information if you are interested. I strongly recommend if you are forming a partnership that you include a shotgun clause in your partnership agreement. If you have an existing partnership, then I encourage you to ask your partner(s) to adopt a shotgun clause as part of your partnership agreement. This is just one of the ways you can avoid partnership problems, now and in the future. It’s October – have you completed your 2016 Budget yet? It is hard to believe this is October already. Time flies. My guess is most of you have not started a budget for 2016, much less completed it. Avoid repeating this mistake. Join me and David Russell as I explain the WHY – WHAT – HOW of budgeting for IT service organizations. I have been a service manager and CFO of a highly profitable MSP. Let me help you. If you have thought about budgeting, you might not have any idea where to start. Let’s change that. Today you can learn WHY you must have a budget to grow profitably, WHAT life looks like with a budget, and HOW to create one for your business. Most of us equate budgeting with personal finance and restrictions on spending and therefore we hate it. Do not get stuck in this way of thinking! In reality, a budget creates FREEDOM. Freedom to plan, freedom to strategize, and freedom for your company to perform its best! A target at which to shoot, not only for revenue, but for Gross Margin, profitability, and performance for your people. Understanding of what you need to do to achieve your goals. Clarity as to where your people need accountability. Ability to plan for resource needs into the future. According to Service Leadership, having a budget and tracking your performance-to-budget on at least a monthly basis is a key indicator of maturity and profitability for all IT solution provider businesses. Not only that, but incentivizing your management team heavily on achievement of budget will increase your chances of success. Now that we know budgeting is a good idea, how do you go about it? The answer: It is a simple process, but not easy! A good way to start is by building a budget model for your business – start at the top with the major categories and work your way down. There are many ways to build a great budget model. There are also plenty of different systems you can use, and your accounting software likely has a module built in for budgeting. For simplicity’s sake, I recommend you exporting your P&L by Month to Excel and work from there. NOTE: Make certain your Chart of Accounts is setup appropriately for this exercise. To read more about this, google “Normalized Solution Provider Chart of Accounts” and you’ll find plenty of helpful tips. 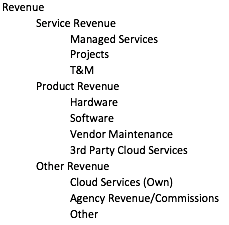 Define a reasonable estimate of your revenue for each revenue category monthly and annual total. For instance, if your Managed Services revenue has been $20,000 per month, how much are you going to grow that each month in 2016? You might say we can reasonably grow it $1,500/month each month next year. This means January managed services recurring revenue increases to $21,500; February to $23,000, and so on. Will that happen every month? Make a reasonable assumption based on your level of activity, expectations of your team, and historical data. Once you have your revenue budgeted, you are ready to budget your Cost of Goods Sold. Put every cost associated with delivering the revenue for each particular line of business in Cost of Goods Sold. You will probably have multiple COGS lines for each revenue line. For instance, Managed Services has costs for the tools you use (such as PSA and RMM), costs for people (including salaries, taxes, insurance, etc…), and possibly travel or other items. All costs to deliver revenue must be included to most accurately gauge your profitability! Enter these costs into the appropriate columns and you are ready to calculate your budgeted Gross Margin. Take the revenue line and subtract the sum of the COGS line for that revenue line. This determines your Gross Margin dollars for that Line of Business. Let’s also go one step further to calculate our GM percentage by dividing the GM dollars by Revenue dollars. This determines your budgeted GM percentage. Ideally, this number should be north of 50% on services and over 15% on product. Repeat steps 1 and 2 for each revenue/COGS line. Total them at the bottom to find your total Gross Margin. Are you hitting the right Gross Margin numbers for your business? If you are not hitting those numbers, what do you need to change in your cost structures to improve on them and increase your profits? You may be pricing your products and services too low, or perhaps you are paying your people too much. Performing these calculations provides insight into your business and allows you to make the right adjustments. Next, budget expenses. You have a history for all your expenses, and expenses “below the line” of Gross Margin should not change much on a monthly basis. These include your administrative salaries, building costs, Sales & Marketing, and other expenses. When budgeted appropriately, you should understand the amount of your “nut,” or total costs per month (exclusive of the items that are required to deliver services). Budgeting all your expenses significantly improves your ability to correctly comprehend the total Gross Margin dollars you need each month to cover those expenses, and therefore make money! Simple math: You make money when you spend less in expenses than you earn as Gross Margin dollars. Congratulations! Many of your peers are unable to achieve this! EBITDA refers to Earnings Before Interest, Taxes, Depreciation, and Amortization. To calculate this, simply subtract your Expenses from your total Gross Margin. It is one way to define profit targets, but not the only way. The final calculation we perform is Net Income. Calculate the Interest, Taxes, Depreciation, and Amortization on your earnings (EBITDA) and subtract it from your earnings to get our Net Income number. Again, for 2016 these numbers are estimated based on what they have been in the past and how you project they will change based on your company’s growth in 2016 (and beyond). Done! Well, at least the numbers part is… Net Income is your final number, no more calculations. I sincerely hope it is positive. If not, you need to take a hard look at your business and decide where to make some changes. This leads me to my final point: A budget is worthless if you refuse to hold your Company accountable to achieving it. Positive, inspiring accountability drives every successful organization that has a wisely defined budget. Do not delay budgeting. Take this as your chance to do something different for next year to bridge you to new territories of profitable growth. Our goal is to help educate and mentor leaders to develop new habits and implement better systems that positively impact your business now and for years to come. If you need help, email me! And DO NOT MISS my webinar explaining the WHY – WHAT – HOW of budgeting for IT service organizations. Click here to register. Space is limited.